The air is crisp, the leaves are changing colors and it’s time to remind ourselves just how lucky we are to spend our summers in The Pine Grove, helping to shape our campers into independent, thoughtful and self-confident young women. With Thanksgiving just around the corner, we’d like to take the time to recognize a few of the things that we’re thankful for – most importantly, our community and this beautiful place that we get to call our second home. Waukeela is a magical place. 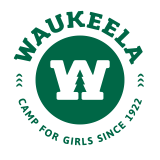 Since 1922, Waukeela has been a summer camp where girls can come to be a part of something larger than themselves. The weeks of tech-free fun that Waukeela provides are some of the most valuable times of a young girl’s life and we are so grateful to be able to provide that experience for so many. Whether you’re jumping into Crystal Lake on a hot summer day or hiking the beautiful New Hampshire White Mountains, the beauty of the Pine Grove is undeniably one of the best places to spend your summer. We are so lucky to have our own backyard as a place to explore fantastic hikes, lakes and mountains. It doesn’t get any better than this – thank you to our Waukeela community! We hope your holiday is full of delicious food and great memories.